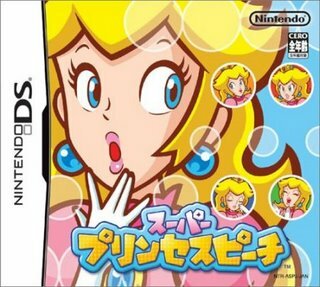 I love Super Princess Peach. There, I said it. The game is a refreshing entry into the Mario series and every time I play it, I love it more and more. And this is a 21-yr, red blooded male gamer talking. apparently if you're looking for some good, old fashion Mario style gameplay, Super Princess Peach could be more than what you're looking for. In a good way. Beware though, if you're a male gamer, be sure to buy some "manly" titles as well as an exotic car mag or gun to further mask the fact you just bought a Super Princess Peach game. The pink box may give unknowing observers the wrong impression. That wrong impression being you like to dress up in skirts, wear wigs and play princess game in your spare time. Not the impression you want to project to others. Trust me.